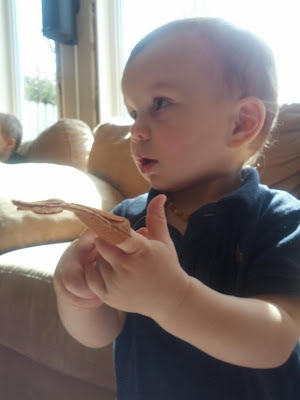 Both of the boys have their own quiet books and both books have a page with finger puppets. 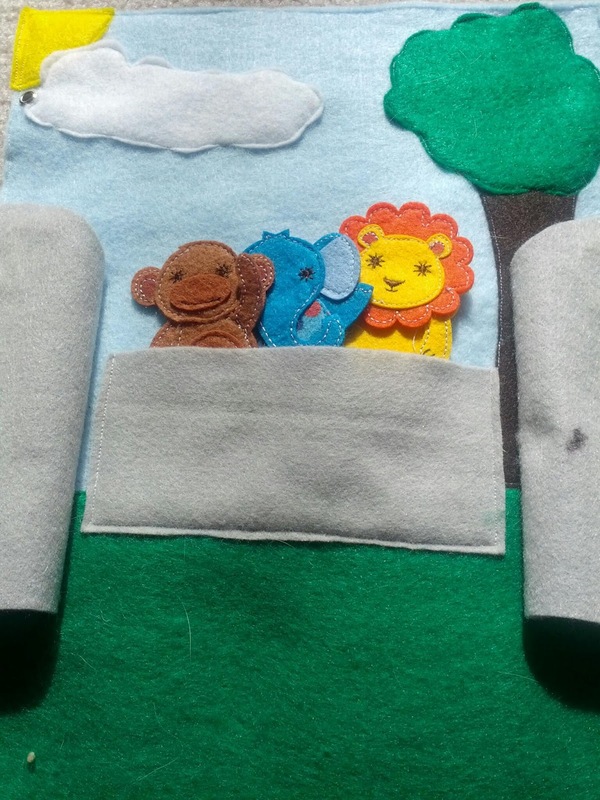 This zoo one has a gate that opens to reveal three animal finger puppets. The materials were simple for this page: felt and foam stickers for the word "zoo." The finger puppets were part of a birthday card that one of the boys received, so I did not make them. However, they could easily be recreated. They sit perfectly inside a pocket behind the gate. The gate to the zoo is open. 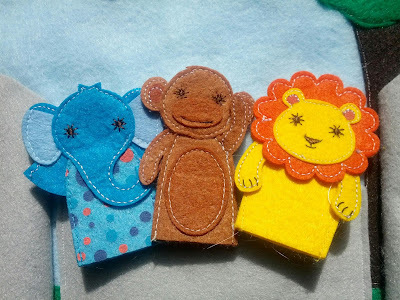 Three adorable finger puppets recycled from a greeting card. This page is a lot of fun. 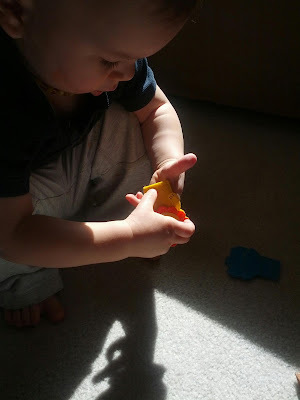 It is great for imaginative play, learning about animals, and fine motor skills. J loves to read and trace the letters of the word "zoo." That's why I prefer to hot glue foam letters on for words. I like the different texture and the foam letters are so appealing to both boys. The finger puppets alone keep the boys busy for awhile, especially K, who has a hard time getting these particular puppets on his fingers. K trying to get the lion on his finger. That didn't work, so he tried the monkey one instead. I'm just in the planning process right now. But I need to get into high gear if I want something done for xmas! 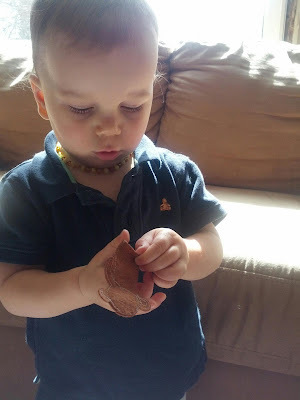 Where do I buy stiffened felt? You can definitely get some at Michaels, or at least, you used to be able to buy some there.